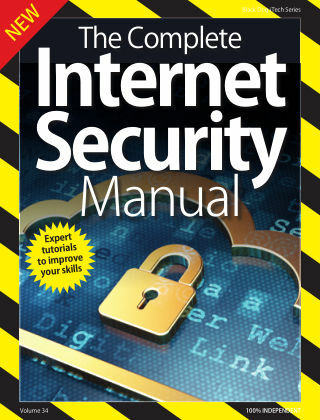 With Readly you can read Online Security Complete Manual and thousands of other magazines on your tablet and smartphone. Get access to all with just one subscription. New releases and back issues – all included. Learn how to keep your PC secure from hackers, viruses and malware. The modern digital age is an incredible resource and an astounding human achievement. However, alongside the wealth of information at your fingertips, there are more nefarious elements at work. We live in an increasingly digital reliant world and there are those out there who would stop at nothing to swindle, cheat, destroy and cause utter mayhem with our information. With this guidebook we will help you protect you and your data.